The National Highways Development Project is an ambitious project which was undertaken in our country in 1998 to look into matters and issues pertaining to development of highways in an integrated manner. PPP has been perceived to be a major contributor in implementation of projects. From the government perspective, when we talk about highways, particularly national highways, we think in an integrated manner considering all stakeholders. On the one hand, we have the Ministry of Road Transport and Highways as the policy-making and guiding entity right at the top of this chain followed by the National Highway Authority of India, the implementing arm for national highways in the country. The other stakeholders are the state governments who lend support in terms of land acquisition, enforcement related issues, utility shifting etc. Next are the concessionaires and contractors who have the most important role in terms of implementation and subsequent operation and maintenance of projects. In India, the road users get the least attention, so we are also now trying to focus on the perspective of the users. 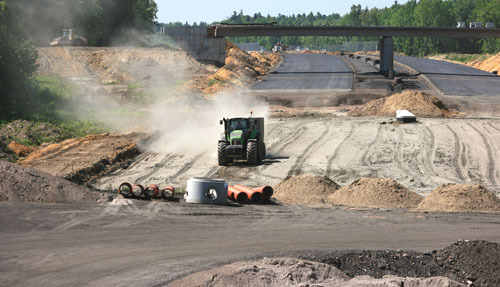 In 2008-09, the economic meltdown all over the world affected the highway sector. However, we have seen continuous improvement in award of projects subsequent to adopting the B K Chaturvedi committee recommendations. Progressively, the award of projects increased from about 3000km in 2009-2010 to around 8000km in 2011–12 but then after 2011-2012 there was again a temporary dull situation, chiefly due to the global economic scenario and also due to India-specific issues as well as sector specific issues. Banks and other lending institutes had almost reached their limits or saturation in terms of the allowable exposure to infrastructure projects, particularly highway projects. So these were among the conditions which were highway sector specific and needed to be addressed. The government has identified most of the issues and challenges facing the sector and has taken conscious measures in addressing them. For example, the government is now increasingly relying on publicly funded EPC projects, at least for the time being and the focus has shifted from PPP projects to EPC projects where 100% public investment is involved. This would certainly improve the situation in terms of availability of liquidity through this public funding mechanism and the sector would start to look up. Clause 37.3 of the concession agreement provides for termination payments; it says that in case a contract is terminated due to concessionaire defaults, 90% of the debt due will be paid by the Authority. After the Ministry carried out multiple rounds of discussions between the Ministry of Finance, the Reserve Bank of India and the concessionaires, the RBI issued a circular in March 2013 which directed the lending institutions to consider the debt exposure as secured, at least to the extent assured to the project authority, that is NHAI in this case. The impact of this move has not been very immediate but we expect the impact to be palpable shortly. Also, we needed to delink environmental clearance from forest clearance. Further, there were certain provisions in the forest rights act, which required the NHAI to get new forest clearance if it did some new plantation just for maintaining the right of way, even within its own acquired right of way for highways. 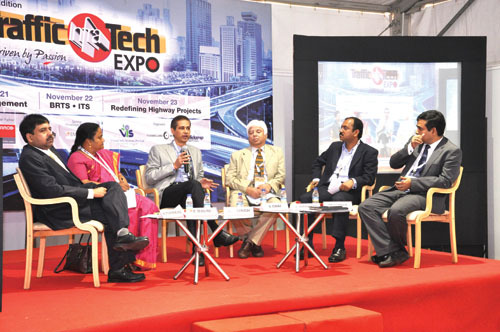 We were able to do away with this with representations and conscious efforts from the Ministry and NHAI. Another issue was increasing the threshold for environment clearance and this has also helped in expediting implementation schedule and in achieving COD in time. Then there are some other policy level changes like procedural simplification of the approval process for projects which was shortened, thereby reducing the overall implementation time. Yet another one has been dispute resolution; we had around Rs. 17,000Cr of public money at stake under dispute through a combination of PPP as well as the public funded projects. NHAI designed a new three stage system to expedite the resolution of disputes. Now we had to address the issue of required liquidity in terms of availability of equity for highway projects through PPP. 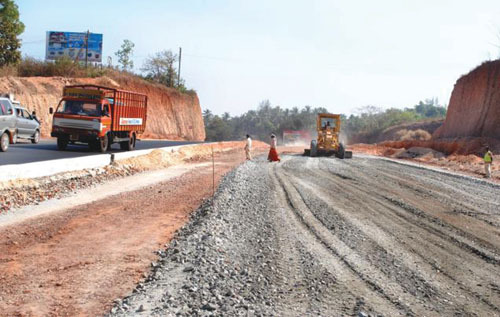 Due to overall shortage of funds in the market for investment in highway projects, it has been increasingly difficult for concessionaires to arrange equity for new projects in the early stages of the project. The concessionaires’ money also needs to be brought back to the system to infuse some liquidity. Now we are in the process of finalizing a policy for harmonious substitution of concessionaires, by which, in case of financial distress, a concessionaire can approach the lender and make a representation before the authority for allowing them to exit the project, post financial close, even during the construction period that is before the COD is achieved. Once this equity exit option is allowed during the construction period, it is expected that there would at least marginally be some additional liquidity in the market, which will encourage concessionaires to invest in fresh PPP projects. Now interestingly, there has been representation from many concessionaires regarding restructuring of premium. There have been examples of four-laning and six-laning projects where the projects were relatively in better situation and there were premiums being offered. These projects were awarded on basis of premium to be paid by the selected concessionaire to the authorities over the years. 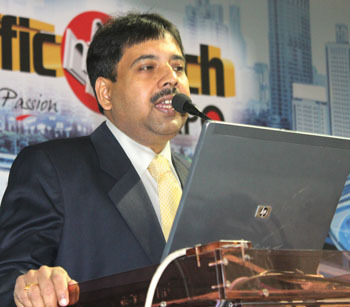 Now the situation in the market is such that getting funds, let it be debt, equity or any other form has been difficult. In such a situation, the concessionaires are finding it difficult to fulfill their commitment regarding payments of premium as well as completing the construction within the scheduled time. This issue gets further accentuated in case of six-laning projects where the need to make the payment starts from COD, which is barely 45 days from the day of signing of the concession agreement. For four–laning projects, there is some comfort that at least the two to three year construction period has been completed, COD has been achieved, tolling has started and the concessionaire is free of construction related obligations before being required to pay the premiums. There have been representations from some concessionaires to allow them to defer this premium payment, keeping the net present value of those deferred payments, with respect to whatever had been bid during the project allotment stage, the same. That would essentially mean deferring the premium but increasing the premium in absolute terms towards the later parts of the concession period. This has also been under active consideration of the government and the government expects to come up shortly with some solution. The government has also been focusing on EPC contracts where 100% public funding is involved so that the financing stress that is perceived in the market is partially taken care of. In addition, we have a new generation of projects called OMT contracts, where projects which have been completed through a public funded route like EPC contracts or item rate contracts are then given for short tenures of 6-9 years of O&M only. In O&M contracts, the capital investment requirement of the private party is quite low and at the same time, they have reduced level of risk in terms of traffic that can be tolled because, at the stage that they are entering the project’s traffic flow, revenues on traffic flow have already began. Adjudicatory role:- This would be purely mandatory to follow and can only be challenged in a court of law. It includes contract dispute resolution, renegotiation of future contracts and enforcement of contractual obligations. A concession period is normally for 25-30 years and when we are entering into a concession agreement we cannot foresee all possible situations that may arise over the long concession period. An example is that very recently in states like Karnataka and Orissa there has been full or partial ban on iron ore mining. The impact of this on the highways sector is that the projected traffic in terms of trucks carrying iron-ore has gone down drastically. Therefore earlier projects which were perceived as financially viable have now become unviable. So there should be some mechanism for periodic day-to-day monitoring of contracts and at least there should be some periodic mechanism for revisiting contracts. Advisory role:- The regulator can advise on renegotiating of existing contracts, setting up service standards, project entry and equity exit options, tariff structuring and toll mechanisms, knowledge management etc. New initiatives of the government include GIS based monitoring of road stretches, developing smart applications for highway users which are multi device applications and can be used on a range of devices, right from mobile users to laptops. There is a joint initiative by the Ministry and NHAI for ERP implementation as well as upgrading the current e-procurement system for appointing vendors, contractors and concessionaires.